A local organization is planning to give 1.2 million South Sudanese Pounds to support local women start businesses in the country. 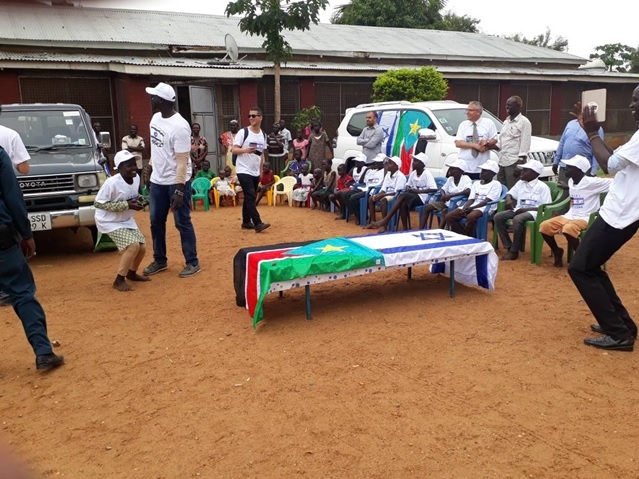 Voice for Change Organization, a South Sudanese National Organization is training more than 100 local women to learn basic skills on management and understanding on Village Savings Loan Association (VSLA). The Village Savings and Loans Association (VSLA) Concept is a village banking methodology, which offers the productive poor mostly in the rural communities, the opportunity to purchase shares and lend to themselves with agreed interest rates on group basis. The Executive Director of the Organization Dorothy Drabuga Ambrose explained the importance of the initiative aimed at empowering women in the grassroots to take up business role to help support themselves and their families. She said the VSLAs will increase savings and credit access, improve microenterprise outcomes, and increase women empowerment. “We are gathering about 125 women groups from different areas and give them training on VSLA management. These groups will be trained differently and empowered with some cash to facilitate their businesses,” he said. According to Drabuga, each group member will be given 10,000 SSP to jump –start the businesses. There are five different women groups drawn from Munuki, Rejaf, Gudele, Luri and Khorwiliang. Each group comprises of 25 women. The training will run for five days. Drabuga said saving the rural poor women in Village Savings and Loan Associations (VSLAs) play a crucial role in bringing financial services to rural areas. She acknowledged that access to formal financial services was limited in South Sudan as most women had no potentials in generating household income. Drabuga further stated that the concept of VSLA helped in the promotion of the groups that lead to improvement in financial inclusion, household business outcomes, and women’s empowerment. She said it improved resilience, food security and household income. Rose Sadia, one of the participants from Rejaf Payam said having local women involved in business would build their independence. She said supporting VSLA could help one efficiently save and invest in income generating activities. Sadia said she had improved in basic business besides other marketing skills. “I started my business in 2010 with only 20 SSP. I bought sweet potatoes and sold them moving to various consumers. I managed to get 10 SSP as a profit. I am now getting more profit,” Sadia said. According to Saidia, she would continue with business despite the numerous challenges facing her. “My business grew until I shifted to doing other business where I could get good profit and raise school fees of my three children. At the end, I become a successful entrepreneur,” she added. Nadia Bennet another woman who participated in the training recounted how she started her business in 2012 which expanded from 20 SSP to 4,000 SSP as profit each day from her restaurant. “I began business in 2012 with only 40 SSP. I began with yellow beans (Tamia) and fresh maize cobs for sale. I moved all the corners of Juba selling my food. I earn little money each day,” she said. Nadia revealed that her business grew until she resorted to selling foods in her restaurant. She said she is happy with her business as she could continue doing it without loss. Voice for Change had been supporting local women to improve their economic viabilities.